Starting with the second project…. We recruited more engineers and they are coming in this month. Just in time for our second project. We’ve spent few weeks on selecting the hardware platform and discussing software structure. Basically we are making a stand-alone network video recorder based on embedded platform. It serves the similar funcationality as our surveillance software and it will be targeted for small businesses or home use. More updates coming up and we need to get back to the hard work for now! As usual, Grab the update at our corporate website now!! Grab the update at our corporate website now!! After months of working overtime, and we are very excited to announce the first public beta of our surveillance software today — π-Vu Basic. We are very proud of ourselves for the achievement and we’d like to share with all of you. Yes, it will be free of download and we plan to make it free of charge even when it’s officially released!! Stay tuned and we plan to make more major improvements next month as we’re announcing our first public beta!!! There will be no public release just yet but we’re making some progress here. Please do check back frequently!! Yes, after some internal discussions and brainstorming, we’ve decided to name our surveillance software “π-Vu”. “Vu” as obvious as it sounds and looks, it means “View” in French. We decided to use the mathematical constant “π”, as it respresents the ratio of any circle circumstances. And putting these two words together, we’re delivering a message that by using our software, you are able to get clear and vivid video around the area you are monitoring in. We think it’s a great name and it is easy to remember. 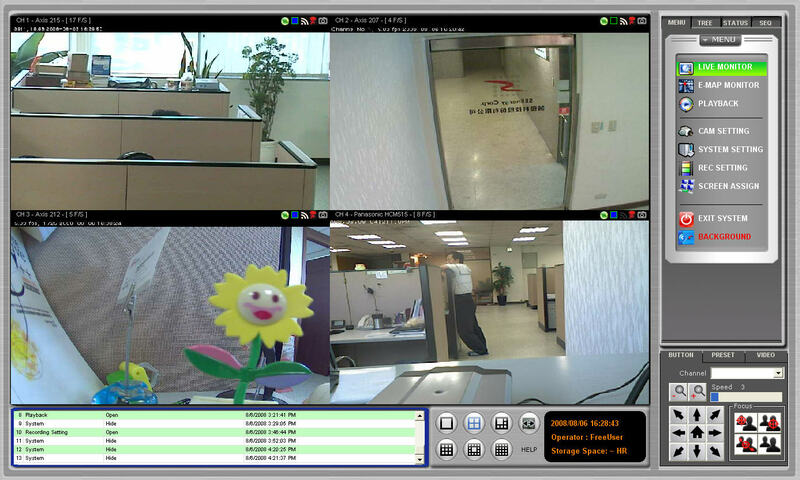 We are a software company specializing in building IP surveillance applications and solutions. We provide both management and storage solutions for IP cameras by the means of a standalone network video recorder or a PC based software. Our solutions are specifically targeted for small-to-mid sized applications such as retail school, restaurant, or factories with supported channels from 4ch ~ 256ch.